In the near future, Samsung is working to return back to the Windows tablet arena once again. According to a leaker in China, Samsung will be releasing a 12-inch tbalet which will run on Windows 10 and will fight head on with Microsoft’s line of the Surface Pro devices. The details regarding the device is close to none but the leaker has suggested a 12-inch Super AMOLD display device with either a 3840×2400 or 2560×1600 resolution. The device might be armed with an Intel Core ‘M’ processor with 4GB of memory, S-Pen and might weigh 600g. 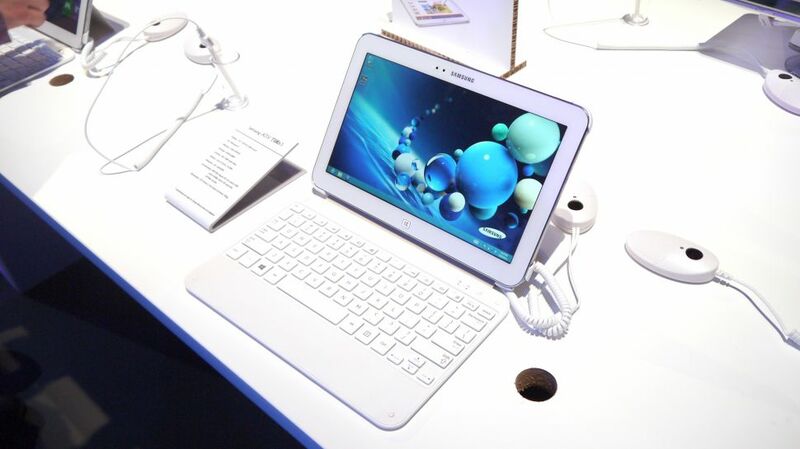 Samsung has previously ran tablets with Windows OS such as the Ativ Tav which used the previous Windows RT and became outdated back in 2013. Although the tablet has a good battery life, office software and great storage space, the prices were very high. Samsung’s new Windows 10 tablet will definitely go head-to-head with the Microsoft’s own line of the Surface tablets but only time can say how it would fare with them.